The Hempel World Cup Series regatta opens in the Italian city of Genoa Monday for the Olympic classes this Monday. 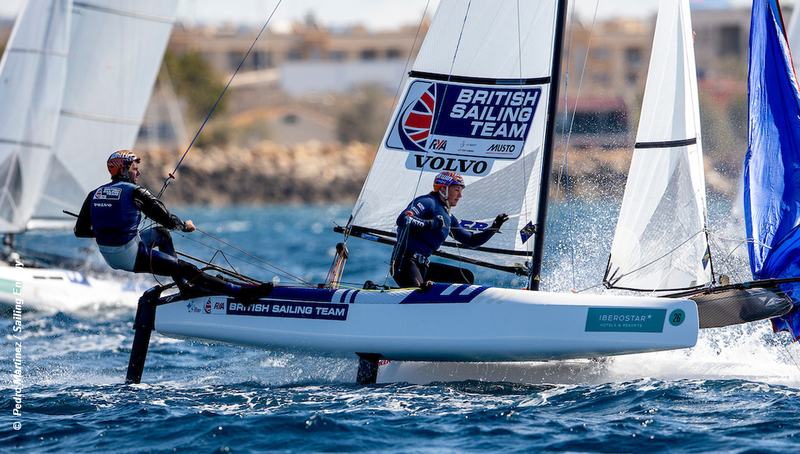 It is expected that over 700 sailors will compete between 15-21 April for the first ever Hempel World Cup Series regatta to be held in the country, but for the British Sailing Team only the three top teams will betaking part. Ben Saxton and Nicola Boniface, and John Gimson and Anna Burnet continue their battle for the Nacra 17 Tokyo 2020 selection spot. While in the men’s 470 Luke Patience and Chris Grube take the opportunity to compete against the best in the world before their European Championships in May. Also competing are James Peters and Fynn Sterritt in the 49er taking advantage of the absence of Dylan Fletcher and Stuart Bithell, and Sophie Weguelin and Sophie Ainsworth in the 49erFX while Charlotte Dobson and Saskia Tidey miss this event. The 49er, 49erFX and Nacra 17 start racing Monday 15 April, sailing in split fleets. The remaining fleets will follow on Tuesday 16 April. Medal Races start on Saturday 20 April for the 49er, 49erFX and Nacra 17 first before the remaining fleets are decided the day after. Straight after Genoa the fleets will head to the Olympic Classes Hyeres Week, followed by a series of individual class European Championships through May, beginning with the 470 Championships in San Remo, Italy, and the Finn Championships in Marsala, Sicily, both starting on the 9 May. The Nacra 17, 49er and 49erFX European Championships start in Weymouth, UK, on the 11 May. And after those we should have a pretty goood idea of the British sailing squad for the final Olympic sailing test event in August in Japsn . . .